Unusual & beautiful geodized shells from Florida have appeared in the fossil retail market in recent years. These were first discovered by Tom Scott, the Florida State Geologist. 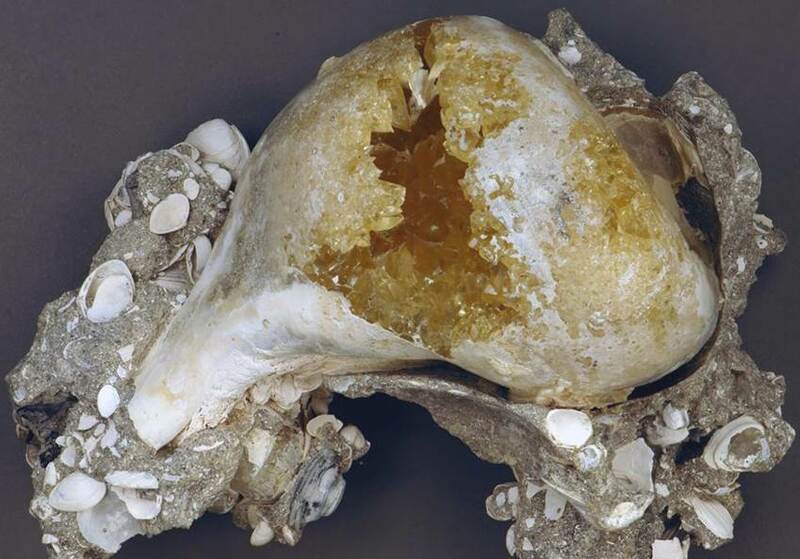 The geodes are developed in large mollusc shells, and are typically lined with golden yellow calcite crystals. Most of the geodized fossils are large Mercenaria clam shells. Some of the geodes are developed in large Busycon snail shells, such as the specimen shown below. Busycon snail shell geode with yellowish calcite crystal lining. Entire rock specimen is 11 cm across. This specimen comes from the Anastasia Formation (Upper Pleistocene to lower Holocene, ~126 k.y. to ~8 k.y.) from the Indrio Pit on the northern side of the town of Fort Pierce, southeastern Florida, USA. The matrix surrounding the large snail shell is a coquinoid quartzose sandstone having abundant whole bivalve shells (see pic below). 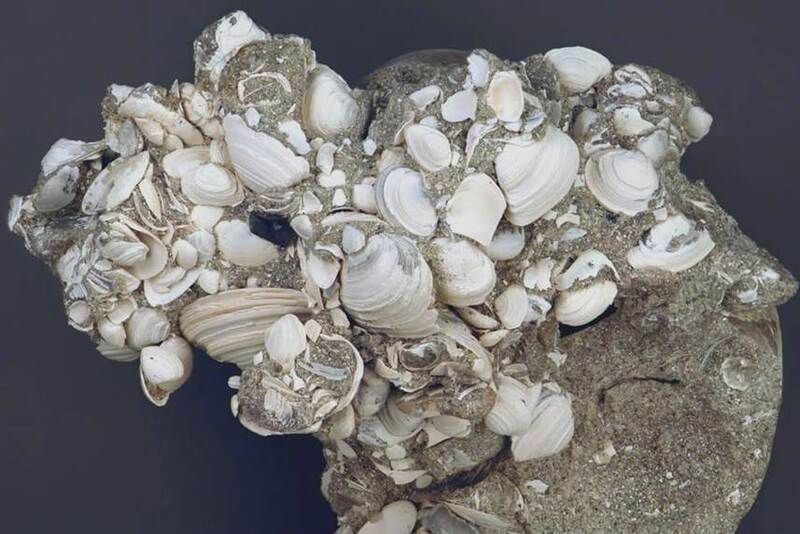 Florida’s Anastasia Formation is well known for having true coquina beds. Coquinoid quartzose sandstone matrix of geodized Busycon snail shell shown above (bottom surface of rock, 8.4 cm across).